Definition: Mandibular fractures can occur singularly or as two fractures creating three segments of the mandible (this is referred to as a segmental fracture). For a reminder on the 4 radiographic features of fractures take a look at the trauma to teeth and jaws page. Location: Most commonly at the angle of the mandible, neck of the ramus and anterior mandible. 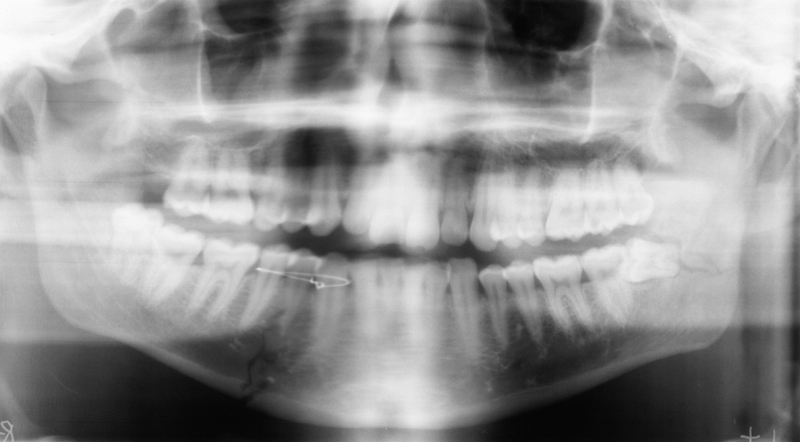 Frequently a fracture will be continuous with the periodontal ligament space of a tooth. Shape: Can be linear or jagged. May not have a definitive shape. 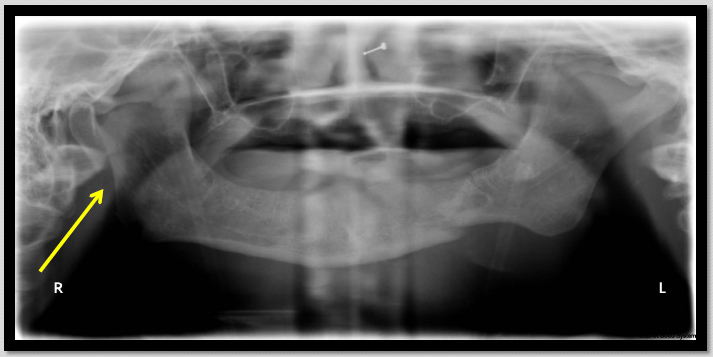 Internal: Radiolucent when seen as a line, but can also be radiopaque when seen as two segments overlapping each other. 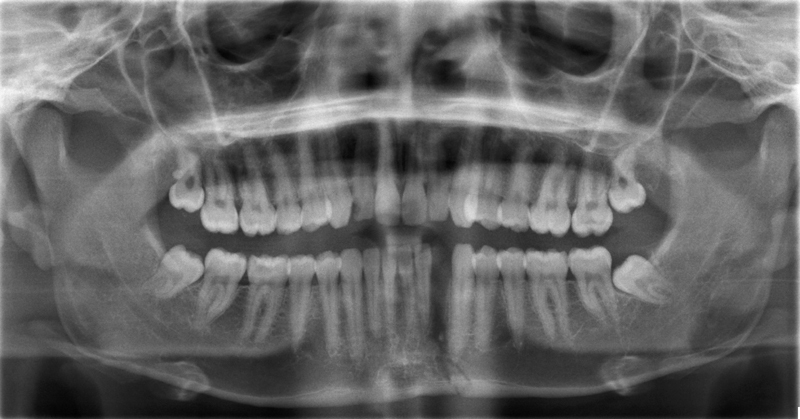 Note how the fracture lines are continuous with the periodontal ligament space.